At the IoT Solutions World Congress, CodeMeter ignites new digital business models. For its inaugural participation at the IoT Solutions World Congress, the leading international event in the IoT industry that will take place in Barcelona, Spain, October 3-5, Wibu-Systems, the global powerhouse in secure software licensing applied to the industrial field, will be in the pavilion of the Industrial Internet Consortium® (IIC), the world’s leading organization transforming business and society by accelerating the adoption of IoT, and co-organizer of this show. The IoT Solutions World Congress is a unique event focused on vertical markets. More than 250 speakers will provide over 130 hours of education across manufacturing, energy and utilities, connected transport, healthcare, buildings and infrastructure, open industry, quantum computing, and Blockchain technologies. With a large exhibition area, testbeds and live demos, networking activities, and an independent award program, this show has already achieved double digit growth in registered congress and expo visitors. Wibu-Systems has embraced this expansive spirit and will be active on several fronts. Visitors can meet the company’s senior executives at the IIC member pavilion, in hall 5, booth E571, where they will elaborate on their latest technology innovations and how these propel software monetization in the IoT space. With CodeMeter, its multi-platform, multi-vendor, and multi-purpose technology for software protection, licensing, and security, the company has reached a maturity level that is influencing the way software publishers and intelligent device manufacturers drive their business. A clear example of this deeply transformative impact will be offered in the IIC pavilion itself. Wibu-Systems is participating in a collective security-centered and cloud-based demonstration, along with IIC and Plattform Industrie 4.0 members. For the demonstration, Wibu-Systems is contributing an embroidery machine from its customer, ZSK, to show how to protect the intellectual know-how in the form of software and production data, communicate data securely in a M2M scenario, and multiply revenues with the power of versatile licensing. In an additional demonstration led by the members of the Trusted Computing Group at the Convention Center in room 5.1, Wibu-Systems will illustrate all of the various hardware security elements the company supports for the storage of sensitive information, license details, and cryptographic keys. 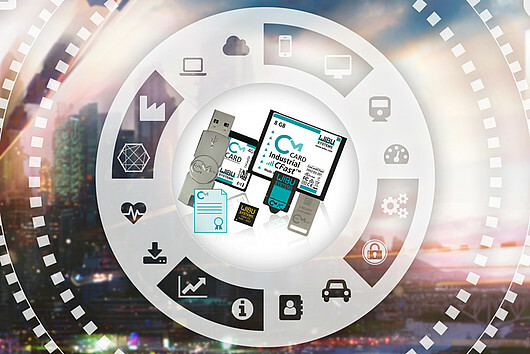 These include not just the form factors the company produces on its own, like USB dongles, memory cards and ASICs, but also third-party components, like Trusted Platform Modules. In the Congress arena, Oliver Winzenried, CEO and founder of Wibu-Systems, will convey his mission to the attendees: “Over the years, our technology has kept expanding to reach new frontiers and assist a greater number of software-driven businesses to safeguard their intellectual property and create diversified and recurring profit plans. We believe that the success of app stores can be well replicated in the industrial sphere; by shifting investments from hardware to software, vendors can significantly reduce bottom line costs and increase their ability to enter global markets.” During his lecture “Price-responsive business models for the healthcare industry”, in room 3, on October 5th, 12.40 to 1.15 pm, Mr. Winzenried will delve deeper into his vision for the next industrial revolution.